David of DBCII and Comparative Geeks nominated me for The Writing Process Blog Tour. Normally I’m a little shy about meta-blogging, but I think that this is a really interesting look at bloggers “behind the scenes,” and I enjoyed writing it. We’ve been geeking out together for 10 years now, and it’s always fun to compare notes. I wanted to write a blog that was not a public diary of my life in Japan but a closer look at rural Japan and Japanese culture. Somehow the blog shifted to being about gender and geek culture, often in the context of Japan. I write what I do because I’m (still) sick of reporting about OMGWacky Japan. Branching out a little more into geek culture outside Japan, as well as guest posting on Comparative Geeks and Have You Nerd? has been a lot of fun as well. With a lot of rage and self-loathing. Straight translations (sans commentary), recaps, and photo posts are pretty self-explanatory, but for the critical essays that I write, there’s a process. I’m pretty sure readers of both blogs know I’m a big geek, but I’m not sure if they really understand just how much of a dork I am in real life. Let me preface this by saying that I accidentally fell deep down into the X-Men fandom after First Class and Days of Future Past came out. 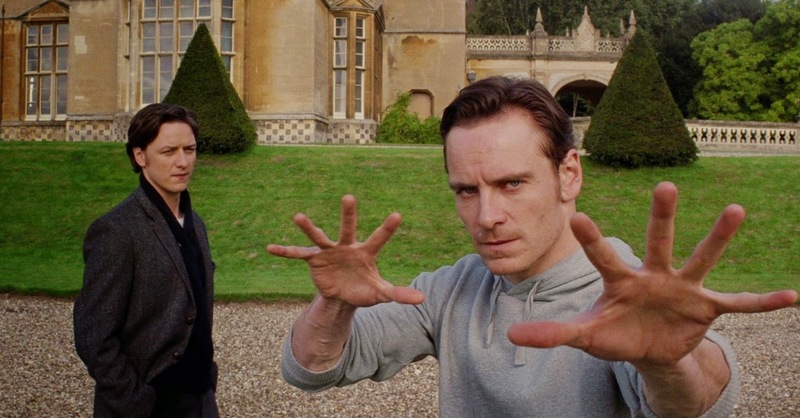 You know that scene in X-Men First Class where Erik (Magneto) says that he has trouble using his powers except when he’s angry, and Charles (Prof. X) tells him that “true focus lies somewhere between rage and serenity”? That’s what writing about gender is like for me. Except that I have to act as both roles: the Magneto part of me wants to flip a table, light everything on fire, and then fly off to my lair; the Prof. X side of me wants to be the better person and to help others understand about gender and diversity with kindness. Rage-mode is the most effective for the first draft. I’m not always angry when I write, but it does sometimes make it easier to write quickly. And if not angry, then passionate–I want to tell you about all the amazing movies and shows I obsess about. If it’s something I love, I might take a while–even years–to write about it. I have the most trouble reviewing media in a general, not-in-depth way because I don’t know where to start without that spark. I’m honestly not sure what that says about me. It’s all a bit exhausting. For the longer essays that aren’t about breaking news, I spend a lot of time mentally planning before I type anything. If I’m working through a really hard issue or topic, I sometimes record my thoughts on my phone or to talk it through with someone to bounce ideas off them. My spouse and I have this sort of Watson and Holmes thing going on where I talk to him instead of to the skull on the mantle and he acts as the conductor of light. If the issue requires a very particular expertise, I’ll chat to my other friends who are more into Japan or gender studies or cooking to get their opinions. Sometimes I literally think about a topic for more than a year before I write. The posts on the Tsunayoshi arc of Ôoku were like that; the one I’m planning on Takarazuka Romeo and Juliet is like that, too. Although the waiting is mainly because I do get busy with series and topical subjects, sometimes thinking deeply for a long time helps me reconsider something I may have written off before, like Tsunayoshi. I tend to write my drafts on WordPress or in Google Docs so I can be more mobile about editing when the mood strikes me. I usually write at home in the living room. Sometimes I have a good-ish introduction and can start there. Sometimes I save the intro for last. I write the bulk of the content, and then later I scan the images, find the gifs, and clean up the text. If I’m really angry and it’s timely, I can do it in a night, but if time is not of the essence and I’m working on a longer piece, I take 2-3 days–usually one to write, one to edit, and one to get the images and do a final edit. I always have a couple typos that I clean up later. David and I both took the same Honors Literature requirement when we were in university together, and although it was not my favorite class, the one thing that really stuck with me was the concept of a graceful dismount–the ideal ending to a piece that is neither abrupt nor dull but wraps it up nicely. This is the hardest part to write well and often delays me. The wrap-up is also the portion of the writing process in which I reflect on my work. This tends to be the “oh, god, everyone is going to think that I’m the worst person on earth” segment of the writing show. This may involve the minutes between sleeping and waking spent dreaming that I screwed up everything. There is also the inevitable typo or three that I catch later. I enjoy getting thoughtful comments, though it’s somewhat uncommon to get any at all, and I try to respond to them. I also may edit in comments or add suggestions from the commenters if I missed something or made a mistake. I schedule almost all my posts for 7 am ET so that people can read my posts over breakfast or on the commute to work if they work a 9-5 job if they’re in the US or in the evening in Japan. How does my writing differ from the genre? There are heaps of good blogs about Japan and Japanese media and gender. I think the in-depth series on the specific manga I like sets me apart. I don’t know of anyone else writing long reviews of Ôoku, especially not from Vol. 5 and beyond. Alice has guest posted on I’ll Make It Myself! and is my go-to source for the latest Misodo and Starbucks Japan seasonal offerings. We both did the JET Program and met through the old Japan Blog Carousel posts. Her new video taste-tests are hilarious. Alice’s tone is the perfect mix of enthusiasm and sensibility written from the perspective of someone very involved with Japanese culture, an enjoyable contrast to both “My First Japan Diary” as well as my own pessimism, so I’d like to know how she approaches blogging and vlogging. 2. Travis of Nubui Kuduchi. Of my blogging friends, Travis is the person I’ve known the longest, back from days of Livejournal. Unfortunately, we haven’t gotten a chance to meet up more than once in roughly 9 years since both of us have moved around a lot for work and school. He blogs about Japan, history, and art, and I always enjoy reading his research on Ryukyu culture and art history. Since he also writes a lot of research-based articles about Japanese culture, I’m really interested in how his writing process differs from my own. 3. Terra and Meg of Have You Nerd? I guest post on HYN about non-Japan geekery. I love how diverse the subjects are and the atmosphere of having a safe place for non-male geeks to geek out about everything from jam to Star Wars. I’d be interested to know how the editors write their own pieces. Fascinating and fun. I really like your Erik/Charles comparison. Thanks for the nomination! I’d do a lot more of this sort of thing if they were all as simple as this one. Brainstorming a post right now with a checklist of things for bloggers to think about if they want to lower the cost of participation in metablogging projects for other bloggers. Lower cost in social activities typically means greater participation. I’ll definitely look at every blog you’ve linked to here. No point in rewording if it’s already excellent. 🙂 You’re going to have so many link-backs for that! I don’t mind the work that goes into metablogging, but I assume (rightly or wrongly) that my readers don’t really care about my personal life, which is what a lot of meta seems to be about. What I write about is informed by who I am, but I think my ideas are more important than myself, if that makes sense, so I hesitate to do the “share 10 things about you!” ones. I liked this one a lot because it was blog-relevant. I get kind of anxious nominating people, too, just because I don’t want to bother anyone who doesn’t blog about themselves. A lot of the blogs I follow are scholarly, reviews, group blogs, etc., that don’t have room for awards and memes. I do like to give shout-outs to other blogs on social media but I worry about forgetting people, too. Anyway, I still owe you an Inspiring Blogger post! It’ll get done after I wrap up a couple things. And I follow you because I’m (still) sick of reading about OMGWacky Japan. Here’s the third of my nominated bloggers for the Writing Process Blog Tour. Leah of The Lobster Dance did not disappoint, talking through her process of research-grounded geekery. Honestly, I should do more research in my blogging. I often have to go the opposite route – put on blinders, research nothing, and make posts that are entirely opinion and hearsay based. This is the burden of blogging on a schedule, I suppose. Anyway, check it out, and thanks for keeping the chain going, Leah!